You earn to live, but do you ultimately live with what you really earn? On average, a person works 40 hours a week based on an income that has been originally approved by both the employer and the employee. At this level, everyone seems to be happy as the latter was approved and accepted by both parties. The tricky part comes into effect: Government Taxes. A hardworking employee receives a paycheck, which in most cases would leave a smile on his/her face. That smile gets ripped off within seconds simply by introducing a tiny mathematical equation that leaves the employee with a significantly less amount of money. The government calls it “Tax”. Most employees around the world start off their morning with a cup of coffee and maybe a quick snack. We got so accustomed to it that most of us tend to forget that we are also taxed on our daily food and beverage intake. Taxes are paid on grocery, shopping, movie tickets, parking space, and even home insurance. For crying out loud, would you tell me what is not taxed. Is there anything that is not? BUT, here is the fun part!!! Ironically, when you flush the toilet you do not realize that you are actually being taxed. How so? Well, you are paying the water bill which of course is being taxed. By transition, the more you flush the more you are taxed. Sometimes you crack the window open for a few seconds to freshen up the air in the house and you would assume it is free because it is air coming from the outside. You are wrong again. You are being taxed! How so? well, you are paying the gas/electric bill to keep the house fresh which of course is being taxed. For those who think that taxes fall within a very small range, I would urge them to revisit the numbers and recalculate how much they are really paying in taxes. Please be advised that the aforementioned concerns mostly employees. 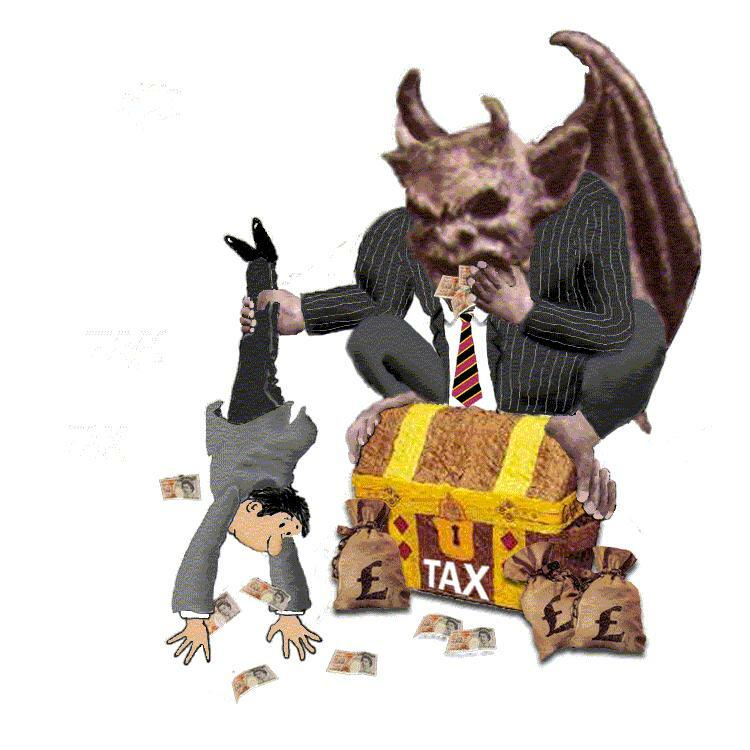 Company owners with their skilled accountants have devised devious plans to manipulate the system and turn taxes into profits. And those are my two cents! Good luck to you all.